We previously shared our involvement at Lennar Homes’ new community, Mirada, in Fort Myers, FL. 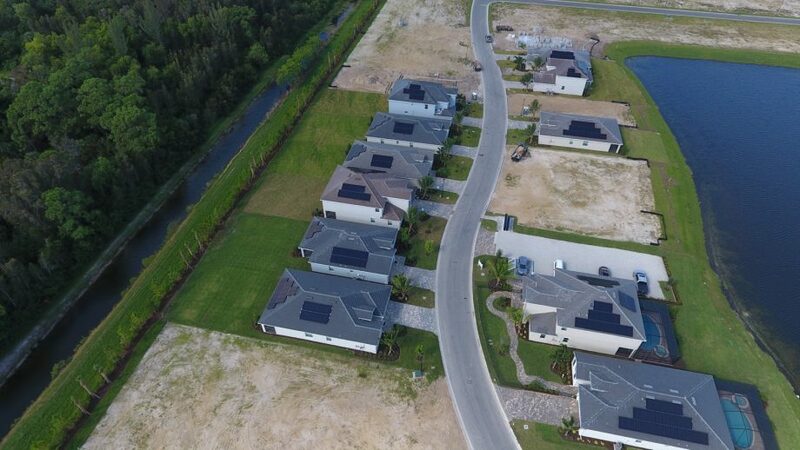 Just off Bass Road near Healthpark Hospital, Mirada is an example of how a homebuilder can develop a community where every home has a solar electricity system. Prospective buyers are excited to learn that their new home will not only be energy efficient, but will also produce power to offset their utility electricity bill. Excess power will be delivered to FPL for credit. The Mirada sales office is now open with ready to move in homes available. To visit, head south on Bass Road from Gladiolus Drive just past Gladiolus Preserve. It’s great that this can be done during construction and especially for pricing in the 300 range.. Cheers- wp.